I will try explain a little about how to integrate Lync 2013 and Exchange Server 2013 OWA. If you have more than one Microsoft Exchange Server 2013, you will need create the Trusted Application. 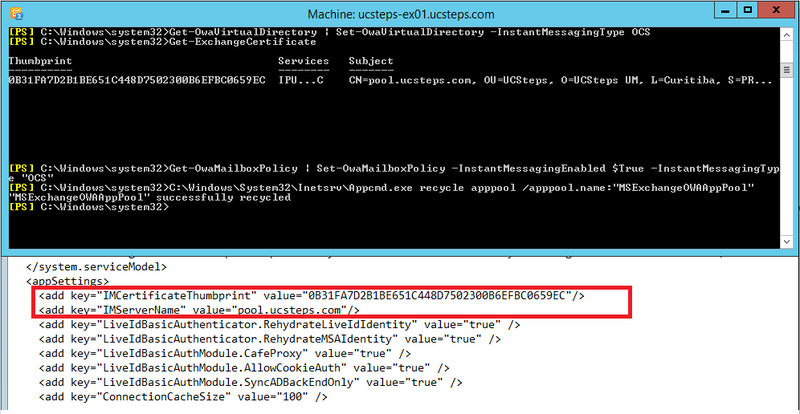 Identity: mail.ucsteps.com is the fqdn OWA pool. Registrar: pool.ucsteps.com is the fqdn registrar pool Lync. Ok, after this, you must run the follow command. ApplicationId: It is only to identify your application. TrustedApplicationPoolFqdn: here you will use the fqdn OWA pool. 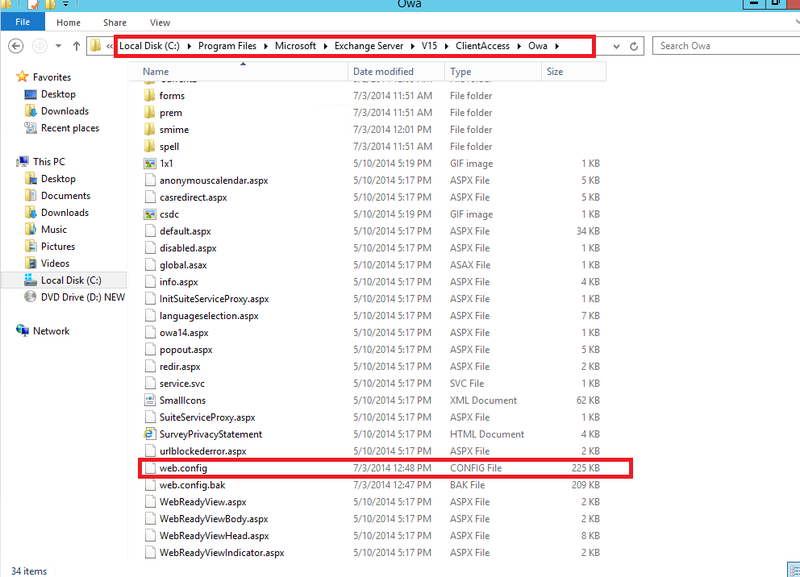 In this lab, the Exchange Server 2013 services is all in one server. It is recommended do the IIS Backup and web.config backup. To do Web.config backup, just copy the file and paste in another folder. Now, you can see if the Message is enabled and if there are a message type specified. But, if your messaging wasn’t enable, run the follow command. value=”pool.ucsteps.com” must be fqdn of the your FE pool. You can see all the installed certificates with: Get-ExchangeCertificate. The certificate must be trusted by Lync Server and Exchange Server. Make sure that the SN name appears in SAN name. You can go up to People and see the status of your contact and then start a conversation. Nice, When anyone sent a message, an alert appears. Now you can send IM through OWA. Enjoy. Next Next post: Problems like the Microsoft Exchange administrator has made changes…..